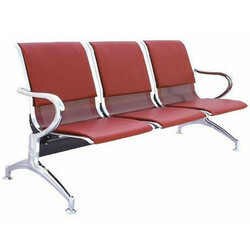 Leading Manufacturer and Supplier of Waiting Chairs such as Hospital Waiting Room Chair, Waiting Room Chair and Airport Waiting Room Chair from Mumbai. We are a reputed entity, engaged in offering a qualitative array of Office Waiting Chair. 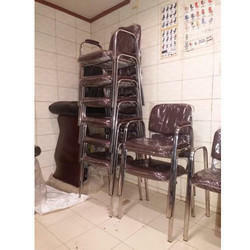 As a reckoned business name, we have been engrossed in providing a wide array of Waiting Room Chair. Using finest class components altogether with modernized tools and machinery; these offered chairs are made under the command of trained personnel of our crew. To add, these chairs are tested thoroughly before getting shipped at the doorstep of our valuable patrons. To become one of the recommended business names, we have brought forth a wide array of Airport Waiting Room Chair. Using finest class basic material along with modernized tools and machinery, these offered chairs are widely recommended and treasured. In addition to this, these are well tested prior shipment to retain their flawlessness. Reckoned amid one of the credible business names, we have come up with a wide and world class consignment of Hospital Waiting Chair. Owing to its comfort, rugged designs and exact dimensions, these offered chairs are widely recommended. More to this, we offer these to our customers on time in multiple size provisions. 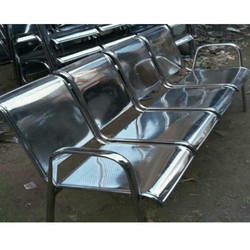 We are ranked amongst the renowned organizations that are engaged in providing the best quality range of Waiting Chair. 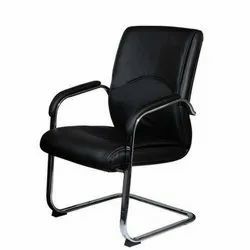 To furnish the diverse requirements of our clients in the best possible manner we are involved in offering an extensive range of Visitor Chair.